Do you want to become a leader when you grow up? If you do, you should spend a day with James Buchanan. He was the fifteenth President of the United States of America. I met Buchanan during the election of 1856. Millard Fillmore, John Fremont, and James Buchanan were running for President. James Buchanan was smart, successful, and had excellent public speaking skills. I heard Buchanan’s speech. He talked about slavery. Buchanan said that he would end slavery. I liked it because it was interesting, and I was an abolitionist. I gave my vote to James Buchanan. Buchanan had the least popular votes, but since he had the most electoral votes, he won the election. 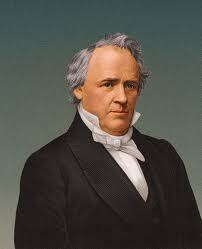 I am glad he won the election, and I am happy because I voted for James Buchanan. James Buchanan is famous because he worked in politics and became a very successful President. Would you have been smart enough to vote for James Buchanan? This entry was posted in 2012/13 School Year, GP, Mrs. Dominick's Class. Bookmark the permalink.